Dr. Harris completed a combined degree program at University of California, Davis and received her Doctor of Veterinary Medicine and Master of Preventive Veterinary Medicine degrees with a focus in wildlife health. She then completed an intensive clinical internship in marine mammal medicine and pathology at The Marine Mammal Center in Sausalito, California. She obtained specialty board certification in the American College of Veterinary Preventative Medicine." Dr. Harris uses an interdisciplinary One Health approach to investigate the health of marine wildlife as sentinels for ocean and human health. 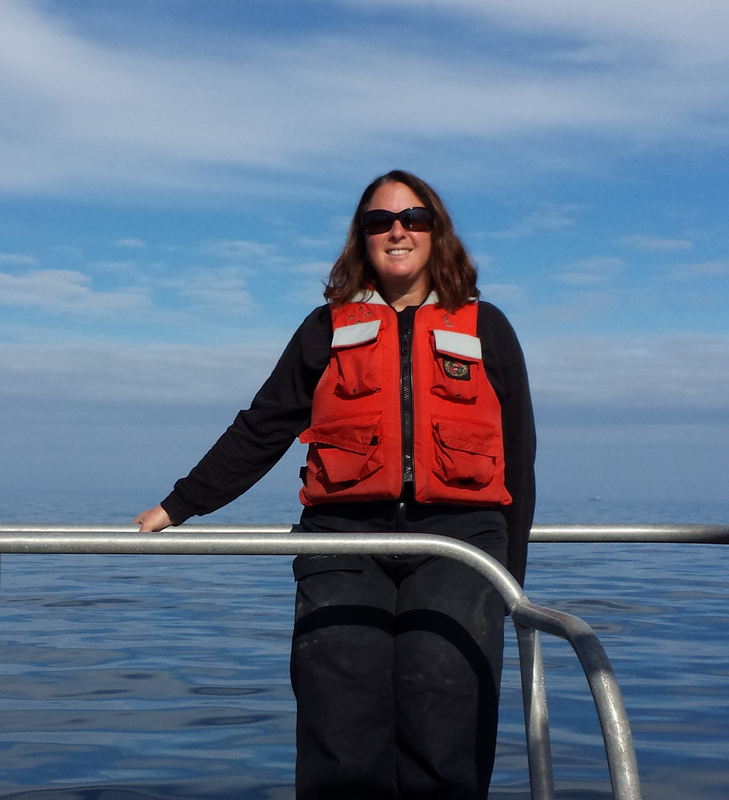 Her research focuses on population health assessment, toxin exposure, and threats to mortality of federally protected marine species. At Cal Poly, she has expanded the traditional curriculum by developing new hands-on courses in marine mammal health and animal shelter medicine in partnership with local non-profit organizations. In addition to teaching, Dr. Harris works as a wildlife veterinarian for the NOAA Fisheries Marine Turtle Program in the West Coast Region. She also provides veterinary expertise to local, national, and international collaborators on marine mammal and sea turtle capture operations, field research, mass stranding events, rehabilitation efforts, postmortem investigations, and oil spill response. Locally, she serves at the site contract veterinarian for The Marine Mammal Center at the San Luis Obispo Field Office and part-time surgeon at Woods Humane Society. Professional memberships include the Wildlife Disease Association, International Association of Aquatic Animal Medicine, International Sea Turtle Society, and American Veterinary Medical Association. H. Harris, M. Flint, K. Stewart, and C. Harms. 2017. Field Techniques. In Sea Turtle Health and Rehabilitation: A Complete Veterinary Guide, 1st edition (eds. Manire, Norton, Stacy, Harms, Innis). J Ross Publishing Inc., Plantation, FL. ISBN 13: 978-1-60427-099-0 (In Press). Deem, S. and H. Harris. 2017. Health assessments. In Sea Turtle Health and Rehabilitation: A Complete Veterinary Guide, 1st edition (eds. Manire, Norton, Stacy, Harms, Innis). J. Ross Publishing Inc., Plantation, FL. ISBN 13: 978-1-60427-099-0 (In Press). Harris, H., S. Benson, M. James, K. Martin, B. Stacy, P. Daoust, P. Rist, T. Work, G. Balazs, and J. Seminoff. 2016. Validation of ultrasound as a noninvasive tool to measure subcutaneous fat depth in leatherback sea turtles (Dermochelys coriacea). Journal of Zoo and Wildlife Medicine 47(1): 275-279. Stacy B, C Innis, P Daoust, J Wyneken, M Miller, H Harris, M James, E Christiansen, and A Foley. 2014. Solitary large intestinal diverticulitis in leatherback turtles (Dermochelys coriacea). Veterinary Pathology Online DOI: 10.1177/0300985814549211. Harris H, S Benson, K Gilardi, R Poppenga, P Dutton, T Work, and J Mazet. 2011. Comparative health assessment of Western Pacific leatherback turtles (Dermochelys coriacea) foraging off the coast of California. Journal of Wildlife Diseases 47(2):321-337. Harris H, P Facemire, D Greig, K Colegrove, G Ylitalo, G Yanagida, M Fleetwood, F Nutter, and F Gulland. 2011. Congenital neuroglial heterotopia in a neonatal harbor seal (Phoca vitulina richardsi) with evidence of recent petroleum exposure. Journal of Wildlife Diseases 47(1):246-254.